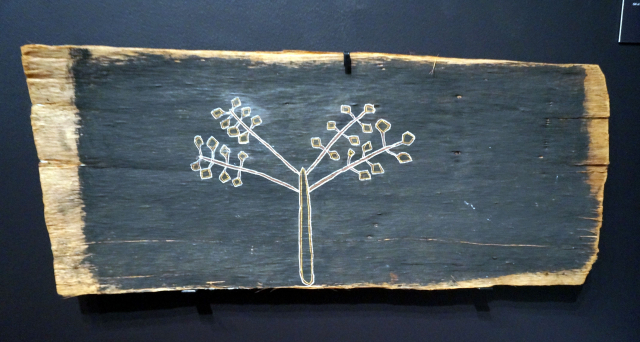 Aboriginal art is fundamentally a melding of European cultural techniques with native Australian folklore. It is not an archaic creative form. Before the British arrived in what is now Victoria State there were probably under 2,000 native Aboriginal “hunter-gatherers” in this region of Australia.